The Lumbee is for Young Adults. The Lumbee was written by and Adolph L. Dial. 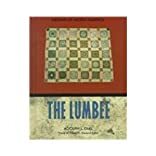 The Lumbee was published by Chelsea House Publishers. Subjects of The Lumbee include Children's Books - Young Adult Fiction, Children's Books/Young Adult Misc. Nonfiction, Children: Young Adult (Gr. 10-12), Children: Young Adult (Gr. 7-9), Indians of North America, Juvenile literature, Juvenile Nonfiction, Lumbee Indians, Multicultural Studies (Young Adult), People & Places - United States - Other, and United States - General. About Adolph L. Dial (Author) : Adolph L. Dial is a published author of young adult books. A published credit of Adolph L. Dial is The Lumbee (Indians of North America).